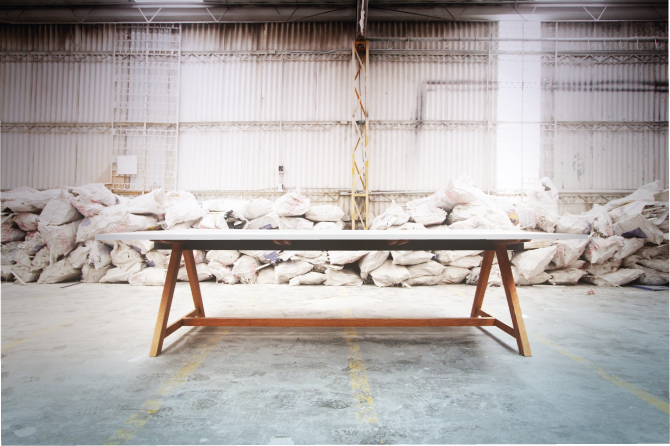 MANADA created this desk while building the offices for Element Studios. It is the first idea and production of the “office systems” series. This particular piece is based on an image of several Czech hedgehogs, metal anti-tank obstacles used during World War II. The structure and shape of these barricades were re-conceptualized to design the table. The Hedgehog tables are built in varying sizes and with a range of finishing options. Table top options are solid wood or solid surface (Corian) in different colors. The flexibility in shapes and colors reflects the spirit of Modernist design. Versatile in shape, this table can be tailored to suit a variety of business and residential applications.